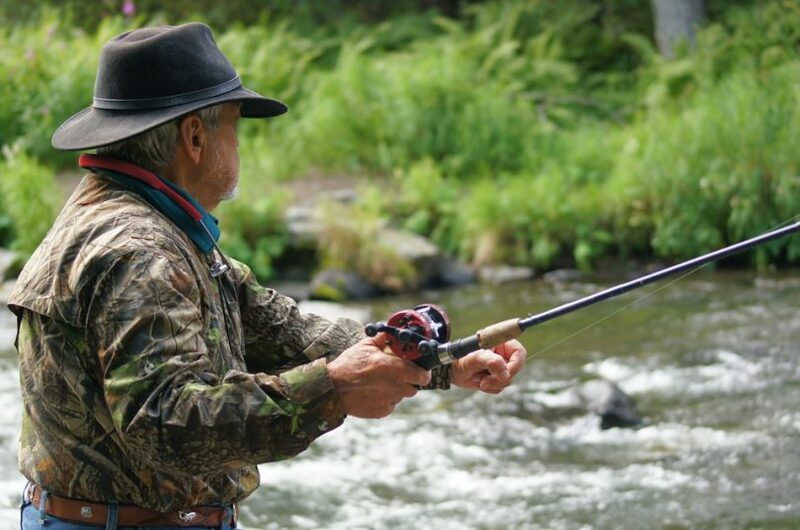 Fishing is an excellent skill to possess, especially in a survival situation. The ability to catch your dinner gives you a huge advantage when your normal meals are off the menu. 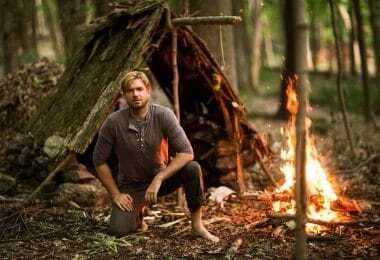 Of course, it’s not only a useful survival skill, but can be used on hiking or camping trips, in order to treat yourself to some of the freshest food you will ever eat. 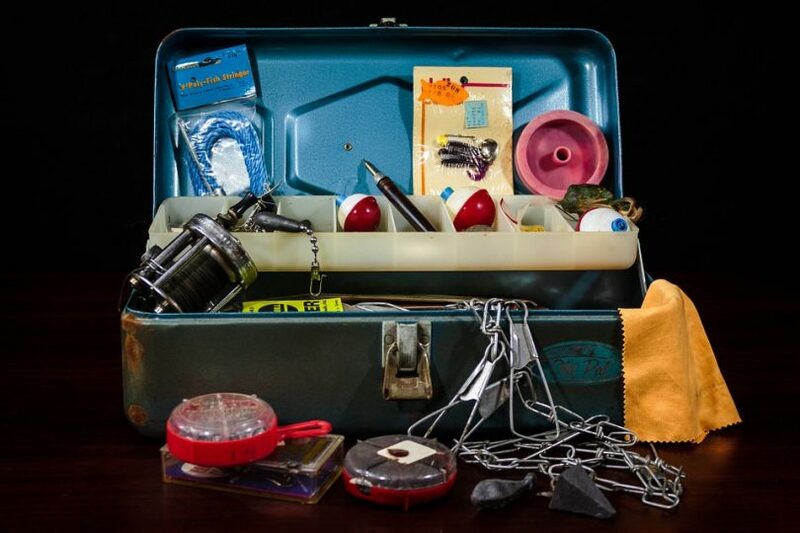 Anyone who is serious about fishing no doubt has a veritable truckload of gear; a rod and reel for every occasion and a tackle box as big as a car trunk. 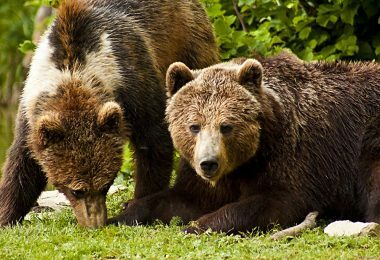 However, this can all be stripped right back down to the basics for anyone backpacking, camping or suddenly left without a home or normal routine. More and more backpackers are taking basic fishing equipment with them on trips into the wilderness and they’re able to do so without packing the kitchen sink. If you fancy a bit of fishing on your next hike, it’s worth having a look at some of the best backpacking fishing gear on the market. Read on to find out what kind of gear to look out for and reviews of ten excellent bits of kit. 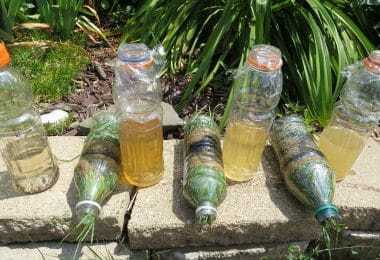 Nowadays there is a wide array of goodies available to the backpacking angler. Designers are focussing on reducing the size and weight of essential gear, as well as creating practical tools and equipment, specific to fishing. You will basically need everything that you would normally take on a fishing trip, but scaled down. It’s useful to know what kind of fishing you expect to be doing in the area you’re trekking through. 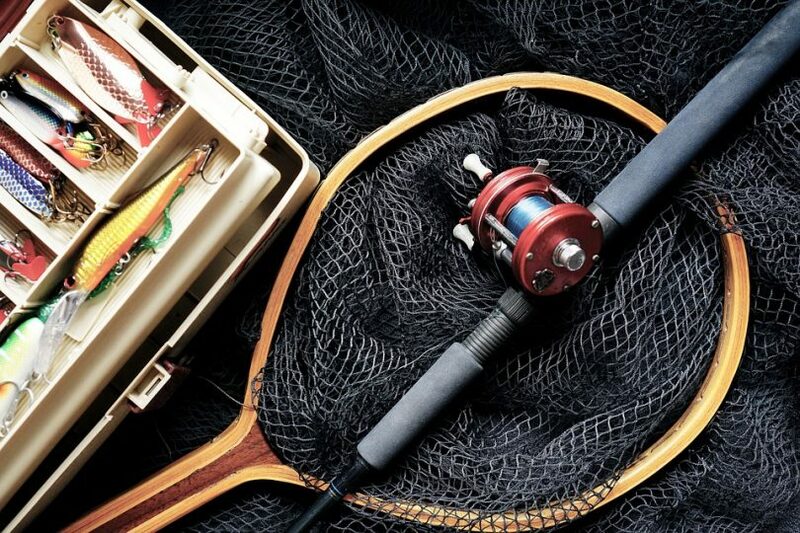 With an idea of what you’ll be fishing, you can pack the appropriate rods, lines, reels and lures, without having to bring everything you own, just in case. The long items such as nets and rods are the most cumbersome when hiking. These don’t pack away easily and can snag if left to poke out too much. It’s well worth investing in a telescopic rod or retractable net. These pack away far smaller than their traditional counterparts and can normally fit easily in a backpack. Look also for handles that can be unscrewed into two or three pieces. 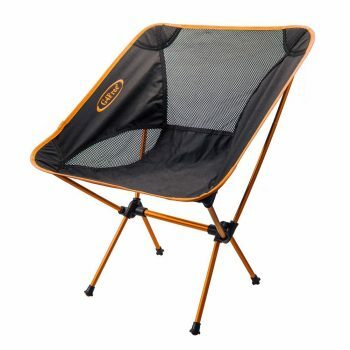 If you want to treat yourself to a little comfort while you’re waiting for the catch of the day, you can find fold up chairs that are lightweight and pack up to fit in a backpack. Rather than bringing several of your most useful tools, invest in a decent multi-tool. This reduces space taken up by several bulky items and compacts them into one, convenient package that you can normally slip into your pocket. 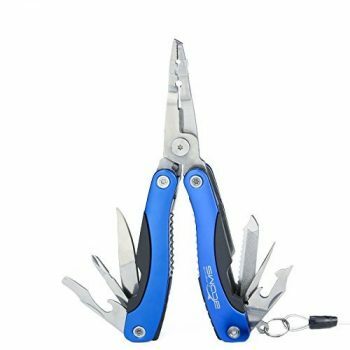 A pair of pliers with a line cutter and blades included or a traditional swiss army knife will be far more manageable than all the individual tools. Use lanyards to attach useful tools to a bag or vest, within easy reach. General purpose reels are also useful to have handy. 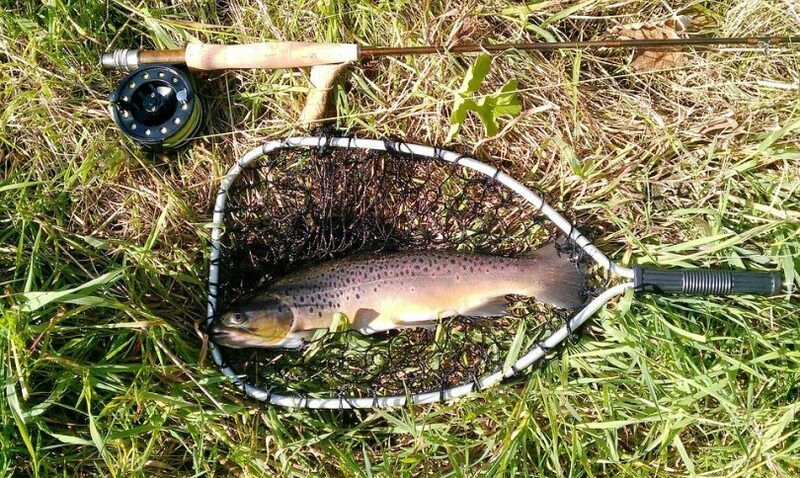 It’s best to have one, reliable reel that can handle a variety of conditions, rather than carrying several. By bringing a small set of lures, you can be sure of having a varied selection, tailored to your needs. Forget those spinners that you never use and focus on the lures that will be useful for what you plan to fish. While out backpacking, there’s almost always a chance the weather will turn on you. When you’re fishing the chances of getting wet are increased. Invest in a waterproofing system to keep your most valuable possessions safe and dry should the worst happen. 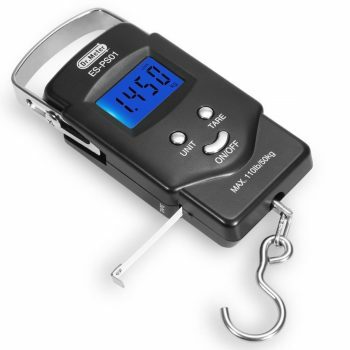 Best use: Ideal for weighing and measuring your catch at any time, any where – even at night. A popular scale that enjoys great feedback from the fishing community, the Dr.meter is well worth considering. It’s well made from durable materials and feels firm and sturdy. Looks can be deceiving as the hook can appear a little flimsy in pictures, however as long as the scale is used within its range of 50kg/110lbs, there should be no issues. It’s easy to use, with just three buttons performing a variety of tasks. Flicking between different units is a piece of cake, and one can measure in lbs, oz, or kg. The scale claims to be accurate to 10g and many users confirm its accuracy. The tape is a little small and fiddly, but can be viewed in inches, centimeters or feet. Some customers report that the tape can get stuck or breaks easily, though with care and attention it should be okay. Sea fishers in particular may notice rust on the tape if it’s not cleaned and oiled after use. The backlit LED display is fantastic and easy to read in any light conditions. Some anglers have complained that the hook is too small to attach a larger fish satisfactorily, however, using lip grips and the tare function should resolve any such issues. All in all, these scales are excellent value for money and do exactly what you’ll need them to do. 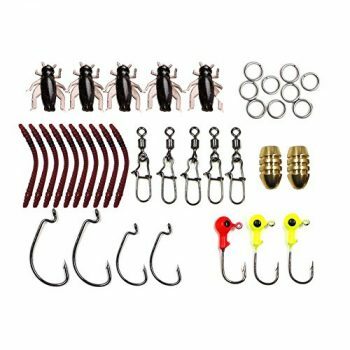 Specific Features: Includes Plastic Soft Lures, Frog Lures, Spinner Baits, Spoon Lures, Hooks, Multi-tool card, case and bag. Best use: A great piece of kit for anyone new to fishing. Bluenet Fishing Lure Set contains everything you might need when first starting out. The majority of feedback is positive, though some customers were disappointed by what they received. With that in mind it’s a good idea to go in with your eyes open and understand exactly what the kit consists of. First of all, a lot of people commented on the size of the product, expecting it to be larger than it was. The actual kit box is fairly small and compact, which is great for tucking away in a backpack. 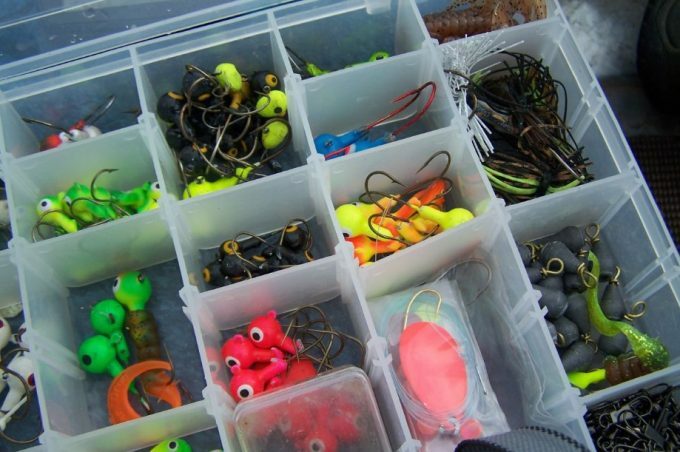 Despite the small case, it is jam packed with over a hundred lures, hooks and baits. 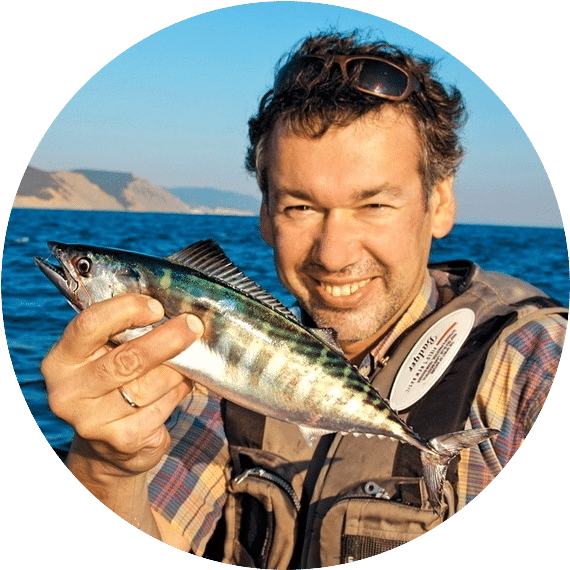 These are certainly not the highest quality lures in the world, but they are useable and a beginner can use them to get to grips with fishing. Indeed, many more experienced anglers were impressed by the kit. The sheer number of lures, of which some work very well, ensure that this kit is fantastic value for money. This kit is fantastic to start filling your tackle box with, with the aim of building up as you gain more experience. Packed full of pockets, ZSHOW Men’s Mesh Fishing Vest has space for everything you might need on a fishing trip. 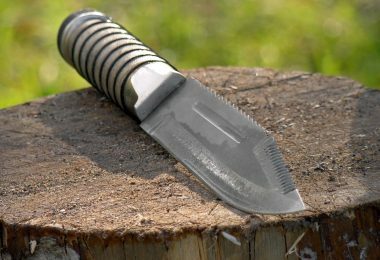 It’s well made and durable as long it doesn’t get any particularly rough use. The materials are thin but not cheap and the mesh does a fantastic job of ensuring you will never overheat or get overly sweaty while wearing this vest. While the vest is not fully waterproof, it is water resistant and will stand up to light rain and splashes without a problem. With 12 pockets to stash your lures, bait, hooks and various other bits and bobs, you certainly won’t be short of space. There are also four D-rings that are perfect for attaching tools and accessories onto, for quick and easy access. The sizes are Asian sizes, so be sure to consult the size guide before ordering. 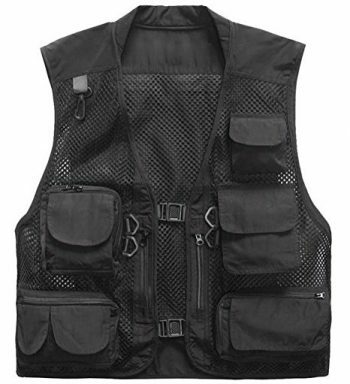 For the most part this vest enjoys positive reviews, with users happy with the comfort and practicality offered, however, there are some complaints that none of the sizes fit properly. For those on the larger side, you may struggle to get this vest to fit. Other issues include stiff zips and shallow pockets, though these are not common complaints. All in all, it’s a great value vest that does exactly what it says it will. When the weather turns or you’re fishing from a boat, it’s important to keep your valuables dry. This triple layered, heavy duty dry bag will certainly help keep your kit dry. The overwhelming majority of reviews are positive, with users happily using and abusing their bags for years on end. 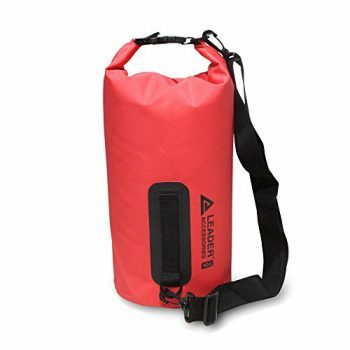 Leader Accessories PVC Waterproof Dry Bag is for the most part very well made and durable, though there have been some complaints regarding the stitching on some of the buckles. The material is thick and smooth and somewhat rubbery, preventing any water from coming in. Be aware that this bag is not designed to be submerged for an extended period of time and will eventually let in water. Having said that, if you were to drop it in the drink your kit will most likely still be bone dry. It’s always worth testing it at home first, before putting your valuables in and trying it on the water. The smaller size (5l) quite often catches people out, with many expecting it to be larger. After rolling down the top to ensure a watertight fit, you’re left with more like three liters of space. The bag is rather heavy, though this is mostly down to the effectiveness of the materials used. Be advised that there are no backpack style straps, only a shoulder strap and the larger bags can become a bit heavy and uncomfortable. On the whole, this is a bag that does its job well as long as it isn’t fully submerged for too long. G4Free Portable Ultralight Chair receives mixed reviews from the fishing community, though the company have recently updated and strengthened the design. The majority of feedback is positive, with many agreeing that the chair is comfortable, easy to set up and fairly durable. It also enjoys a fantastic price tag, outstripping the competition by a fair margin. It is worth mentioning the excellent customer service as well. Many unhappy customers were contacted by the company and had areplacement, upgraded chairs sent out to them. Before the upgrade, the material was prone to breaking, leaving your chair useless. This issue has since been rectified with improved materials. 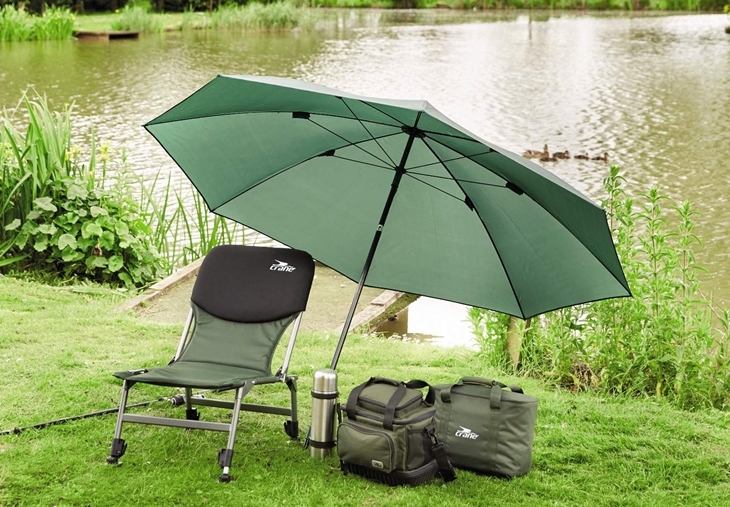 Now durable, waterproof and breathable, the chair is ideal for most trips. It packs away very small and weighs almost nothing, making it an ideal addition to your kit. The legs are adjustable, allowing set up on most surfaces. Some users complain that the seat is a bit low to the ground, though much more are satisfied with the height. For the price and the guarantee of great service, it’s well worth thinking about adding this chair to your kit. A useful tool to have around on a fishing trip, the Freehawk fishing pliers are full of features to aid with most tasks you’ll face on a typical fishing trip. They come complete with a hook remover, line cutter, 2 blades and a ring opener, as well as the pliers themselves. Many users are happy with their purchase, claiming that the tool has helped in a number of ways, including removing the hooks from large catfish. The ergonomic handle ensures a decent grip and with the bright color, you can be sure to find them whenever you need them. 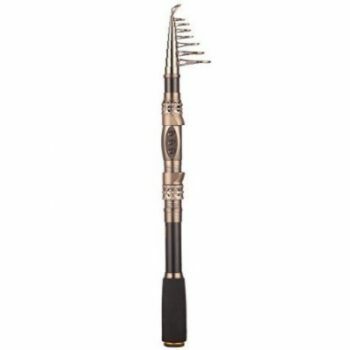 The tool is fairly small, packing away easily and it isstored in a fishing vest comfortably. Some critics report that they are too small to be used by adult hands and have had problems using them as a result. Other issues include the tools being stiff and difficult to pull out. It may well be worth spraying with some oil to ease things along at first. While the tool claims to be stainless steel, it appears certain elements aren’t. Saltwater fishermen have complained of rust appearing after very little use. With this in mind, it’s perhaps best to stick to fresh water and ensure the tool is cleaned and oiled regularly. They’re very affordable and most users have had a positive experience with them. Fiblink Portable Fish Lip are fairly well made for the price you will pay for them. While not the highest quality grip in the world, they are certainly capable of holding onto a fish when you need them too. They will struggle with larger fish, but anything under 20 lbs should be okay. They’re easy to use and can be operated with one hand, a huge plus when you’re wrestling a fish. They’re made from stainless steel, though some users have commented that the springs and inner workings are perhaps not stainless as they have had issues with rust. This is more of an issue with saltwater fishing, though the grips should be cleaned and oiled regularly. The built-in tape measure is metal and prone to rusting very quickly no matter what conditions, so it is effectively useless after a while. The scale doesn’t receive rave reviews either, with many complaints as to their accuracy. They shouldn’t really be relied upon and you can, in fact, buy the grips without the scales or measure. On the whole, however, if used for their intended purpose of lip grips, they should serve you well. For anyone new to the world of fishing, Spin Rod and Reel Combos will provide you with everything you need to get going. It includes a telescopic rod that can pack down to fit in a backpack, a decent reel as well as lines, hooks, lures and sinkers. For the price you’re paying it’s obviously not the highest quality kit, however, it performs well and most users are happy with their purchase. The rod is made from carbon fiber and is fairly strong and durable. There are the occasional critics that have had problems with the rod breaking and not lasting long, though whether this is down to user error or not is hard to tell. Many people are happy with the durability and build quality of the rod and reel, having landed many fish. It’s ideally suited to light, recreational fishing and anything too big is likely to break it. It’s lightweight, very portable and effective enough to take on a camping or backpacking trip where fishing could be a possibility. With a good reel, you can be sure to land a lot of fish, which is why many people are willing to spend a lot of money on them. 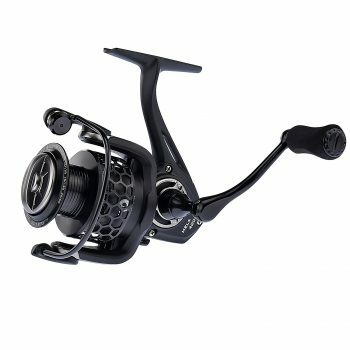 The KastKingMela II is a fantastic reel for a fraction of the price. While there are noticeable differences between a really premium reel and the KastKing, these are negligible if you’re aware of what you’re buying. The reel is built from quality materials and functions well, though it may not be as smooth as other options. It can certainly bring in the fish and many anglers are extremely happy with their purchase. There are some complaints with some users experiencing breakages, both internal and external. A number of users complain that there is a grinding noise when reeling in, which could be the bearings. This reel is not suitable for saltwater fishing and should be cleaned and oiled regularly for the best results. Enjoying mostly positive feedback, this is a great value, afunctional reel that also looks good and feels balanced on the rod. 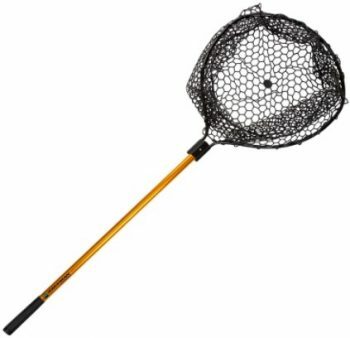 A decent landing net is a useful piece of kit and the Wakeman retractable net excels. Enjoying purely positive feedback, it’s simple, easy to use and does exactly what people want it to do. The net itself is made from rubber, rather than more traditional materials. This prevents tangles and snagging and on the whole, makes the whole process of landing a fish far easier. The rubber is tough and can hold larger fish without issue, though it may struggle with monsters and trophies! 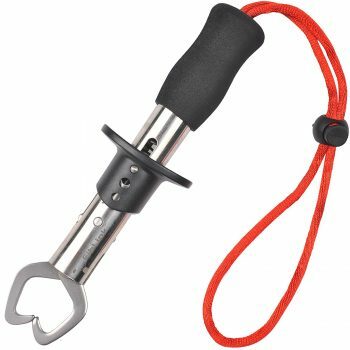 The aluminum handle is sturdy and up to the task to lugging in a feisty fish. The best feature is its ability to retract, ensuring that the net can be easily transported when hiking or backpacking. It’s not overly heavy and won’t become a burden. Finally, being rubber, the net is very easy to keep clean, compared to more traditional nets. A firm favorite of the fishing community, this net is a worthy addition to anyone’s kit. Having looked at some great kit you should have a good idea as to what is necessary for a backpacking, fishing trip. Remember small, light items are the best and pack only what you’ll need. There’s no point bringing a wide variety of lures if you’re only going to fish in a couple of similar areas. Pack middle of the road kit that allows for a variety of circumstances, rather than specializing. Comfort is key and it is worth avoiding bulky, heavy items that will soon become cumbersome. With a lightweight, compact fishing kit ready to pack at a moment’s notice, you can always be prepared to head out into the wilderness and feed yourself.